is david cringing at the possibility of him getting the sack, or at the thought of starring at himself in a mirror after a shower? oh cry me a river mr. quinn; apparently being a club chairman does not require you to be smarter than a fifth grader. in the end, expanding the public’s ability to choose who provides them their match feeds will likely result in more viewers. more viewers means more money that can be brought in through broadcasting revenue. additional revenue streams for broadcasting eventually leads to more money in sunderland’s coffers if they can stay up in the league, thus negating a minor dip in attendance at your stadium. and to be honest mr. quinn, there is no way that the drop in attendance likely has anything to do with an increased ticket price, right? the faster a solution for this issue is found, the better for everyone. to watch every game in the premier league each weekend here in the states, we have to resort to paying either ludicris fees to multiple networks, or resort to pirated streams on the internet. oh way, we’re losing our illegal streams too. why deny your sponsors the extra exposure (and eventual additional sponsorship money for the space on the front of your kit) in markets where there is already a demand? in the hour or so after the transfer deadline passed on monday, i literally F5’d (or refreshed the web page for those not a computer nerd like myself) the skysports transfer center on my computer about 371 times hoping, praying, for some more transfer magic from harry houdini. i mentioned the gaggle of top strikers the club was being linked to in my my last transfers post, and i desperately wanted to see just one of those names as a confirmed signing after each refresh. regrettably, none did. after this crushing defeat, remaining positive has been tough. i, like many of the spurs faithful, thought that a world class striker was a necessity to truly make this a competitive side. and i, like many others, were horrified that the club not only hadn’t signed any of their high profile targets, but were also down a striker after loaning out robbie keane. is this an ominous sign? i hardly thought tottenham had a realistic chance of winning the champions league, but that’s a certainty now. a lost shot at the league championship is also almost written in stone, and competing for a second consecutive champions league spot looks even more difficult with the strengthening by chelsea and manchester city during the transfer window. if they don’t finish in the top four, then they could potentially have to sell bale as he will obviously crave top level football and succumb to big time paychecks from inter/madrid/the mancs/etc. IT’S THE BEGINNING OF THE END!!! i’m reading too much into this, right? right?! mid-sized club managers are falling like flies this season, aren’t they? first it was martin o’neill jumping ship from aston villa, then big sam unfairly biting the bullet at blackburn, then chris houghton stupidly getting the sack at newcastle. all three good managers (well, two good and one “galactically great” manager if you ask allardyce), all three really should probably still be heading the charge at their former clubs. 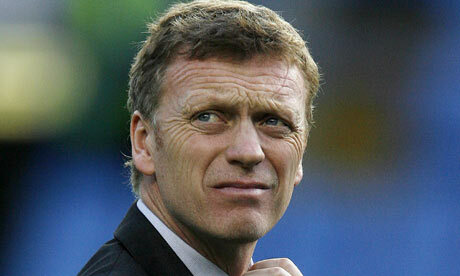 and now it looks like everton’s david moyes could be soon joining them in the unemployment line. despite the cub having a shoestring budget and largely unrealistic fan and board expectations hanging over him, i can actually see a little logic in the toffees letting moyes go. sure, he’s kept the club consistently in the top seven for a number of years. but his side squandered their only opportunity on the big stage, and haven’t won any auxiliary cups (uefa/europa, fa, carling, etc.) despite all of their progress over the last few years. i could be wrong, but perhaps it is time for a change. maybe a fresh look can help the blues climb out of their current precarious league position. it’s no secret that most clubs are not really that big of fans of national sides, issuing mandatory (albeit temporary) seizures of their most prized (and often fragile) assets for battles of pride with other countries. and as has been a growing trend, many of the clubs are right to be angry when they are robbed of these assets for even longer periods when these players are rendered expensive bench-warmers due to injury. one such high profile clash involved bayern munich and the dutch FA over the oft-injured arjen robben. robben recovered from a long term injury picked up on international duty this summer at the world cup. bayern have done horribly this season, solely due to robben’s absence i would presume. (why anyone would risk the robben for unnecessary freindlies when the guy is clearly held together with duct tape is beyond me, but i digress…). either way, the bavarians were upset about this and wanted to be compensated for their loss as has also become the norm. well the two parties have come to an interesting little compromise to end this club versus country row. the dutch will play a one-off friendly with bayern in may, likely with the club taking the lions-share of the gate. who robben will play for in the match remains in question. however, what isn’t in question is that robben will likely break himself while playing in it. back to david moyes again, as this comic makes me feel very uncomfortable whenever i see pictures of everton’s gaffer. when i close my eyes, all i can see is little sprinklings of ginger chest hair dancing behind my eyelids. it’s grossing me out to be honest. the whole moyes-fàbregas feud does make me wonder a bit more about what’s going on inside cesc’s head these days. he’s still playing well, though admittedly not as well as he has the last two or three years, but he seems to be losing his temper a bit more often these days and maybe even warring with teammates. is the club captain maybe trying to start stirring the pot to finally force a move back home?